SARANAC LAKE — Work could begin this year on a nonprofit children’s museum on Depot street, depending on how the Downtown Revitalization Initiative plays out. 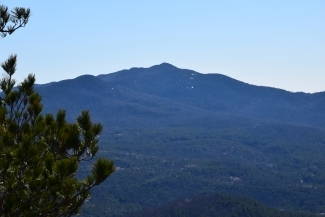 Play ADK: The Adirondack Center for Play has received continuous support from the Local Planning Committee as a potential recipient to share in the $9.7 million state DRI grant package. The project is the brainchild of Executive Director Rob Carr, of Saranac Lake, who’s worked with museums, exhibits and informal learning for the last 15 years. That changed when Carr had his son Tennessee in 2014. He noticed the lack of resources and programming for a particular age group in the Adirondacks — kids from zero to 6 years old. So he began developing the idea of Play ADK — a museum that would exhibit play-based activities for kids aged zero to 10. He stressed that these exhibits would not be teaching-based, something Beverly Bridger, co-chair of the board of directors for Play ADK, reinforced. Bridger said she became interested in the project after her grandchild was born, when she, too, noticed that there was a vacuum for early childhood activities. The exhibits will be low-tech and high-touch, Carr said, to engage both the minds and bodies of the kids in healthy play. Most of the human brain’s connections are formed by age three, and engaging in play helps make those connections, Carr said. These exhibits will be designed to celebrate the Adirondacks, Carr said. He added that he’s not ready to say what the specifics of the exhibits are yet, and will be including community feedback in their development as the project progresses. Carr said Play ADK will soon sign a contract with a commitment to purchase the proposed site of the museum — the 10,000-square-foot former Branch and Callanan warehouse on Depot Street. 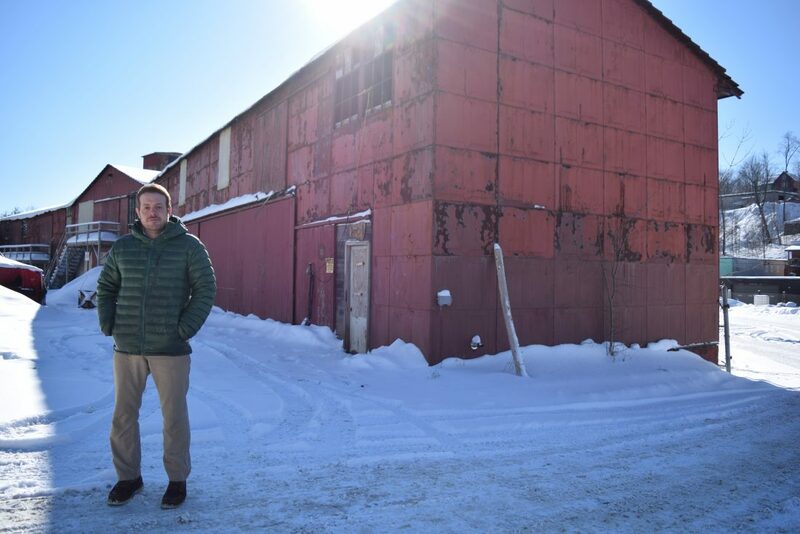 It’s currently owned by HomEnergy, but the company is excited to sell the warehouse and 2-acre plot to Play ADK, according to Tim Reilly, co-owner of the business. In recent years it has been leased to Lakeside Masonry. “I think for the ability for Play ADK to rehab that consistent with its history — you know right across the street from the train station, it’s pretty cool,” Reilly said. He’s also exited about seeing the development of the Depot area. Branch and Callanan used the warehouse to store construction materials in the early 20th century. The contracting firm built notable structures in the area like the Hotel Saranac and many of the cure cottages that made the village renowned. Carr said he’s applying to get the warehouse on the state and national Registers of Historic Places to qualify for historic grants. The warehouse itself is a red, prefabricated steel structure, blistered with rust and still standing strong, according to Carr. He said Play ADK has spent more than $25,000 in the last few months getting site plans and evaluations from structural engineers and architects — all spurred by the proposal process for the DRI. Architect Bryan Burke, of Premises Architecture, is working with Play ADK on the project. He said repairs must be done to the concrete foundation of the building, but according to reports from structural engineers, the steel bones, roof and skin of the building are in good condition, “despite the unkempt appearance on the outside,” Burke said. One detail that both Carr and Burke are stoked on — a rail spur leading from the train tracks that run past the Union Depot to the warehouse. The large sliding doors on the warehouse suggest rail cars were unloaded directly into the building. 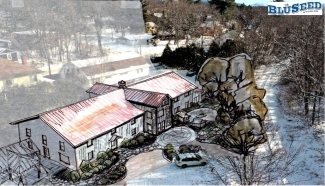 If it works out, Play ADK will attach a rail car to the rail house and build exhibits inside. “It’d be pretty easy to do and really evocative of the whole history of the building,” Burke said. If the DRI funding comes through, Carr said Play ADK hopes to begin development in late summer or early fall of this year. Carr has been working with the DRI consulting team to make the museum’s building schedule align with the grant program. The grant puts priority on projects that are shovel ready. This has led to what Play ADK is calling the first build. This will involve renovating the lighting systems, an elevator and general landscaping, as well as potentially adding public amenities. The second build phase will involve the renovation of the warehouse itself, including insulating and reworking into a usable museum space. The third and last phase will be installation of the exhibits. He said he’s hoping for a full museum opening in 2022 or 2023. The project is estimated to cost between $5 million and $5.5 million, Carr said, for which a quarter of a million has been pledged, contingent on DRI funding. Carr said the project will employ eight to 12 employees full time, with another 10 to 15 seasonal and part-time positions. If you’d like to find out more about Play ADK or get involved in the project, contact Carr at rob@darwinadk.com.